MEO Management attended the keel laying ceremony of the first of a new series of 2000t dwt PSVs at their Batam based PT Loh & Loh shipyard. MEO initially ordered two vessels of the same design, with the potential to build more in the series at a later date. 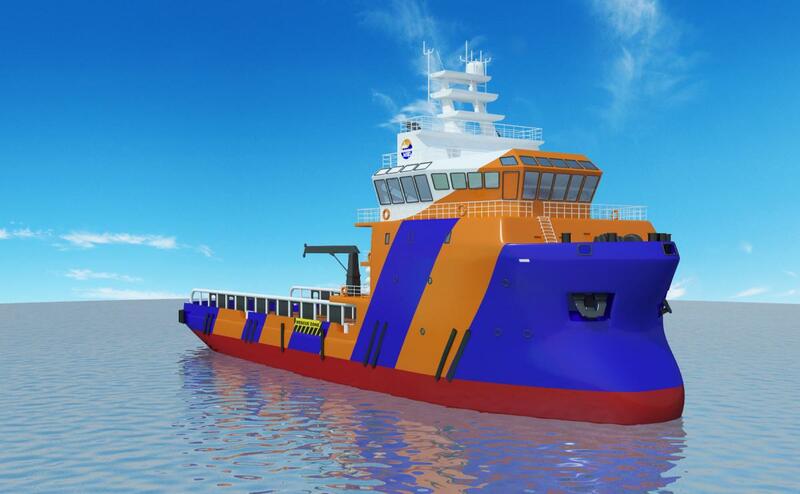 MEO has chosen to build these high spec vessels to fill the gap in the aging and under invested sub category of the PSV market. Focal Marine has been selected as designers for this project and has worked closely with MEO to develop a vessel which is highly versatile to match a diverse market. The vessels will use a full Niigata package for propulsion including azimuth drives for main propulsion, which combined with two 10t tunnel thrusters, will provide a very solid DP footprint for the vessels when operating in ROV support functions. To fully benefit from the opportunities provided by a strong DP configuration, the vessel is also SPS 2008 compliant with a total accommodation for 60 persons and 500m2 of clear deck area space. Good capacity for dry bulk & bulk liquids (muds, brine, drill water, fuel, etc) with a dedicated integral tank of 80m3 for methanol is also available.